So, what comes next after the signed contract has been delivered to the title company and the title commitment is complete? The Deed Packet! The number one thing to remember is: EARLY SIGNATURES MEAN SMOOTHER CLOSINGS! The sooner the completed deed packet is sent back to the title company, the easier it is to complete the pre-closing tasks. For example, the information release allows us to obtain the mortgage payoff quote. The deed and other documents to be recorded must be reviewed to ensure they will meet the county recording requirements. The second thing to remember is: Let the title company know asap if the seller doesn’t live close by. If the seller lives some distance away, they may need extra time to ship the completed documents back to us in time for closing. However, this is the most important document of the bunch. Please ensure that each party signs it in the presence of a notary. As we mentioned in a previous blog, it is also paramount to keep the same original formatting to ensure it is accepted for recording. And, it really makes our job easier if all of the documents are printed single-sided, not double-sided! The Affidavit as to Debts, Liens and Indemnity. This is a complicated title for a document that actually has a rather simple purpose. The purpose is for the seller to confirm that there are no other liens that can attach to the real estate. Each party will have to sign in the presence of a notary. However, the important thing to keep in mind are the checkboxes that usually appear on pages 2 and 3. Each of the statements that accompany the checkboxes should be read carefully before being marked off. The Authorization for Release of Information. All mortgage holders require that 3rd parties receive authorization from the mortgagors to receive any information from them. Without this document, we can’t prove how much money will be needed to get the mortgage released. It is also important for the seller to fill out the name of the lender, and the account number if they have it. This is because there are certain types of mortgages that don’t have to report to the county when they are sold. It could potentially delay closing if the title company doesn’t know who is actually holding the mortgage. The 1099 Tax Information Sheet. Yes, the title company must report most sales to the IRS. Besides the signature lines that are clearly visible at the bottom of the page, there is other information that is needed. Near the top of the page, please guide the seller to fill in their social security or tax ID number(s), their new/forwarding address, and their phone number. We have to mail out a copy of the actual 1099 form to each seller for the next tax year, so a valid mailing address is really, very helpful. Here at Tallgrass Title, we also include Fraud Warnings to put people on their guard. This is very important to us, since fraud is becoming more common. These are the documents that are included in most Deed Packets. There may be other documents specific to the transaction, but they usually don’t appear as often. Please feel free to reach out to us if you have any questions about any of the documents you see in the Deed Packet. We are always happy to help and will even send out a notary to meet with your sellers who are in the area! What Happens to Your Mortgage When You Sell Your Property? Many people have at least one mortgage on their real estate. When you intend to sell your real estate, that mortgage must be released so the buyer will receive clear title. You may wonder, how do I get my mortgage paid off for closing? Do I need to contact the mortgage company to get the payoff amount? Will I need to send the payoff money to the mortgage holder after closing? We are here to tell you that paying off a mortgage at closing really does not have to be as complicated as it sounds. Our closing agents are used to handling this as part of a regular closing. A mortgage is simply the document that secures repayment of money borrowed by placing a lien on real estate. The mortgage needs to be paid off and released from the real estate; otherwise, the mortgage will remain with the real estate sold. Nobody wants to buy a house with somebody else’s debt attached! The mortgage may either still belong to the original bank that issued the mortgage, or it may have been sold off to a different bank. It may be a surprise, but it usually isn’t more complicated if the mortgage has been sold. The payoff process stays the same. What is the payoff process? The process begins with the Seller completing an information release form for us. This form typically accompanies the deed and other documents for the Seller to sign weeks before closing. It only requires a small amount of information from the seller: current mortgage holder name, loan #, signature, and SSN. In most cases, this document may even be signed electronically and sent back to us. Electronic signatures are a big help, because the sooner we get the completed form, the sooner we can get the payoff quote for the settlement statements. As soon as we receive the filled-out form, we contact the mortgage holder on the Seller’s behalf. The mortgage holder sends us a statement with the total payoff amount and their wire instructions. We add the payoff amount to the closing statements and send the payoff amount immediately after closing. After the mortgage holder receives payment, the amount is applied to the underlying debt and a “release” is sent to the county for filing. To complete a seamless closing, our agents will typically add a couple extra days-worth of interest in order to make sure enough funds are sent to secure a release of the mortgage. If there are any excess funds, the lender will refund them to the Seller. If the Seller has set up automatic payments, he or she should contact the mortgage company to cancel the payments following closing. Also, prior to the closing date, the Seller should be aware of when payments are due. If a payment is not made within the grace period, late charges may be applied. Our closing agents are always happy to answer any questions you may have about the closing process. Give us a call today or visit our website www.tallgrasstitleks.com. Many Kansans in our area have a desire to construct a home on real estate lying outside of a city and outside of a “platted” subdivision. The country can lend peace and tranquility to the setting and offer some of the Flint Hill’s most gorgeous views. Additionally, living in a rural area can offer the freedom to pursue rural hobbies like raising animals, having a large garden and having s’mores by a bonfire. However, there are a few things to take into consideration when moving forward with this dream. Where is the real estate? Finding the right mix between rural and city dwelling is a common issue future homeowners must weigh. Although rural life may be the goal, it is necessary to determine how far you want to live from modern services. Is the real estate located on pavement or gravel? Does the county have any plans to pave the gravel? How well maintained is the road? Is it passable in all weather? Another question regarding location is applicable zoning. If you are not purchasing an entire tract of real estate are you allowed to divide off a portion to be purchased? (Keep an eye out for next week’s blog where we will discuss issues regarding dividing real estate from a larger tract.) Are you allowed to construct a single family dwelling? Do you have the requisite acreage for a septic system or lagoon? Will the ground support a foundation, septic system, driveway, etc.? These questions will need to be addressed prior to beginning the construction process. Believe it or not, lack of access can be an easily overlooked issue. Simply put: how does one access the purchased tract? It is important to look into the zoning requirements for a driveway or travel easement. Oftentimes an easement will be needed to cross neighboring property to access your building site. Also, does zoning allow two addresses to use the same driveway? Will the county allow you to create an access point to your real estate where you want it? It is important to address access concerns, because, if there is a lack of access, and no one is ready to give an easement, what is the point in purchasing the tract? Is electricity available at the site? Is it a rural electric cooperative or an electric company? How much will it cost to run the electricity to the divided property? Is water available? Is there a rural water district? How far is the closest line? Is there adequate capacity for a new structure? If rural water is unavailable is a well an option? How will sewer waste be handled? Is a septic tank or lagoon an option? As you can see, the simple rural life could prove to be confusing during the acquisition and build process. Luckily, we commonly deal with these issues and are eager to assist in answering these questions. It’s our job! In the early stages of the closing process your closing agent will put together what we call a Deed Packet for the Seller to sign. The deed packet consists of many of the documents we need to close your real estate transaction. Not all deed packets are the same. However, all deed packets will consist of at least a Deed, an Affidavit as to Debt, Liens and Indemnity, and a Seller 1099 Information Sheet used for taxes at the end of the year. Additional documents as needed will often appear. If there is a current mortgage, your closing agent will ask for an information release. This is so our office can receive a current payoff on any existing mortgage. There may also be other affidavits to clear exceptions from the final policy. If you are working with a realtor, there will be documents authorizing Tallgrass Title to pay the realtors at closing or to give your realtor permission to sign documents on your behalf. New to our deed packet is a Proceed Instruction Sheet that instructs us how to deliver the proceeds due from your sale. As a Buyer, you may receive inspection invoices or invoices related to work performed on your new home. It is equally important for our office to receive invoices as soon as they are available. Your closing agent needs these invoices to ensure that all the work done on the real estate is paid in full and there are no outstanding liens attached to your real estate. Returning the signed deed packet and forwarding invoices as early as possible helps make the closing process go smoothly. Your closing agent will then have time to prepare for the closing and to get ahead of any issues that may arise. Tallgrass Title is here to help in any way we can to stream-line the closing process for you. We offer courier and notary services to our clients and are available for any questions you may have about the closing process. If for any reason you or your realtor are unable to come to our office to deliver a deed packet we are more than happy to come to you. That’s our job! 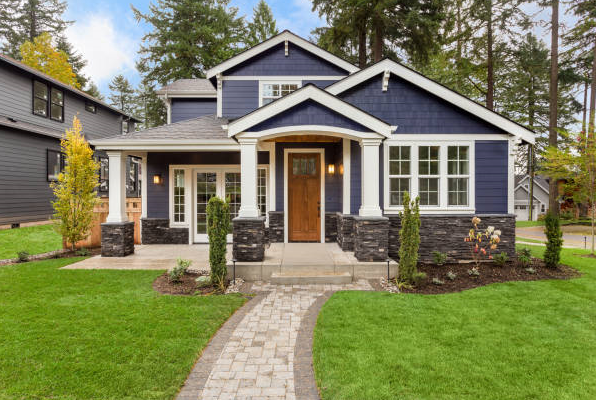 A few days before your closing, you can expect to receive a document or two called a Settlement Statement and maybe even something called a Closing Disclosure. These documents can look a little intimidating, but we can give you some pointers to help you understand what is going on. As you can see, there are two columns showing the debits and credits with the subtotals at the bottom. The last line item is the actual proceeds amount that will be given to the Seller. If you are purchasing a home and obtaining financing, you may get a loan that will be sold on the secondary market. If you are getting this type of financing, your Lender will give you a document called a Loan Estimate soon after you apply for the loan. Then, during the week before closing, you will receive two final settlement documents. One is called the Closing Disclosure and the other is called the ALTA Settlement Statement. The good news is that these documents will have very similar numbers; the bad news is there are a few more sheets to read through. The Buyer’s Closing Disclosure is 5+ pages long. Here is a brief overview of what is on each page: 1. Basic details about the type of loan. 2. List of fees associated with the transaction. 3. Credits, subtotals and the grand total of funds you will need to bring to closing. 4 & 5. Further details about your loan and contact information for your Lender, Realtors, and your Title Company. The Seller’s Closing Disclosure is usually 2-3 pages long. Page 1 shows details of the transaction, subtotals and totals. Page 2 lists the fees the Seller has agreed to pay. As on the simple version, there is a separate line showing the amount “Due From Borrower”. This is the amount the Buyer will need to bring to closing. The thing to remember is that you will want to review the documents as soon as possible after receiving them. Don’t wait until the closing to ask your Lender or us any questions that you may have. If you wait until closing to ask your questions it could possibly delay the closing. Please remember that we at Tallgrass Title are always happy to take the time to answer questions and explain information. As someone who has been interested in buying or selling property you may have heard talk lately about new “TILA/RESPA” or “TRID” rules. So what do these acronyms mean and why are they being talked about by lenders, settlement agents, and realtors, to name a few? Will these rules affect me if I am trying to buy or sell real estate? TILA and RESPA stand for two different government acts that directed two forms that were provided by lenders to buyers/borrowers during a real estate closing. One act was known as the Truth in Lending Act and the other was the Real Estate Settlement Procedures Act of 1974. There was concern that these two forms were difficult to understand, so in 2010 President Obama signed the Dodd-Frank Act into law. This new law required that the information from the two forms be combined into a standardized Loan Estimate Form and Closing Disclosure Form. Thus, the name TRID came to be: TILA/RESPA Integrated Disclosure. Lenders are now required to provide a Loan Estimate to any buyer/borrower who is seeking financing for a standard residential home purchase. The fee and term names are used on a similar Closing Disclosure form (instead of the old HUD or Settlement Statements) during closing, so the buyer/borrower should understand more easily the costs of the entire transaction. The Closing Disclosure form also has to be delivered to the buyer/borrower three business days prior to closing so they have a chance to review it and ask questions before they reach the closing table. Prior to closing, the settlement agent will also provide a Settlement Statement that will be signed during closing. As a Seller, the new rules can affect you as well. For instance, it might take a bit more time than before in order for the bank to gain the proper approval for the loan and be ready to close it. The Seller also is provided a shorter, more compact Closing Disclosure form. Though the three-day delivery rule does not apply for seller’s documents, settlement agents will try to deliver the Closing Disclosure and Settlement Statement a few days before closing so there is time for you to review them. In conclusion, as either party in a real estate transaction, these new rules will affect you, but if you bring your questions or concerns to Lenders, settlement agents, and realtors, they will work together to provide you with the answers and assistance you need through the entire process.